If you want a dual SIM smartphone, all your options have one thing in common: they run Android. That's about to change according to some lines of code found in the latest iOS 12 beta. A dual SIM iPhone is coming, and though the feature has yet to take off in the US, it could prove quite popular. Dual SIM compatibility isn't the first thing most people think about when they're shopping for a new smartphone, but there are plenty of reasons why it can be indispensable. You can have a single device for both work and your personal communications, saving you the trouble of dragging around two phones and keeping them charged all the time. 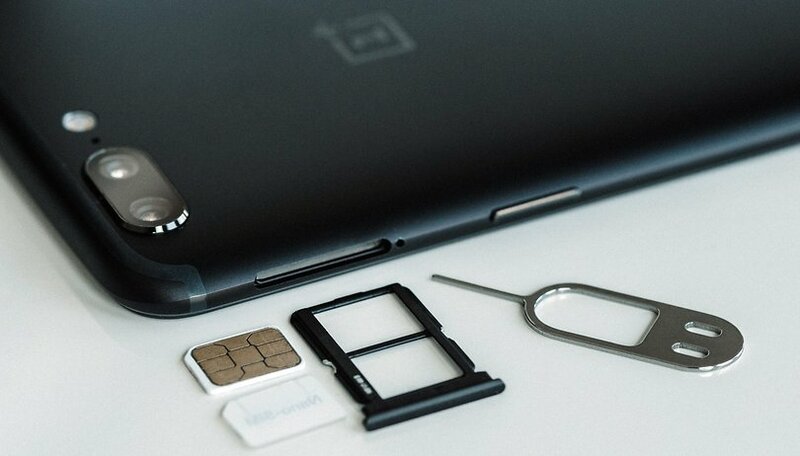 Or, for those who travel regularly, you can keep your home SIM card in your phone while always being ready to hop on a plane to another country. If where you live is rural or has spotty coverage and you need to use more than one network to stay connected at home and on the road, a dual SIM smartphone would be the obvious choice. Dual SIM would be a practical solution for many US users if only the feature were more well-known and widely available. Dual SIM smartphones are already popular in China and other markets outside the US, and that's reflected by the broad range of devices which support multiple SIM cards. But, many dual SIM flagship smartphones come from Chinese brands, like the OnePlus 6, Honor 9, Xiaomi Mi 8 and Huawei P20 Pro, which aren't sold by carriers, can be difficult or expensive to import, and often lack the right frequency bands for networks here. Given the limited choices, it's no wonder why only about 4% of US smartphones are dual SIM compatible. That's a small niche, but it could grow thanks to Apple, and that's good for users. The iOS 12 beta 5 has revealed that at least one of the upcoming iPhones could be dual SIM compatible, a first for Apple. 9to5Mac reports that certain phrases in the lines of code give it away, including "secondSimStatus", "secondSimTrayStatus" and "isDualSimDevice". If all of the upcoming iPhones don't manage to feature dual SIM capabilities, it's likely that the models released in China, or even Europe, will since dual SIM smartphones are already in relatively high demand there compared to the US. Perhaps all it takes for US consumers to catch dual SIM fever is for the iPhone to take it mainstream here. Only time will tell if dual SIM will become a popular feature in the US, but if Apple puts it in an iPhone for the first time and offers it in America, we can be sure that the Chinese brands trying to gain a foothold in the market will lose one of their unique selling points. Have you ever used a dual SIM smartphone? This feature is awesome. I hope Apple does it. Whatever Apple does, the rest of the world copies.